Our management team is composed of a group of seasoned veterans with significant rare earth industry knowledge and expertise. Many of our team members have spent a significant portion of their career with the company. 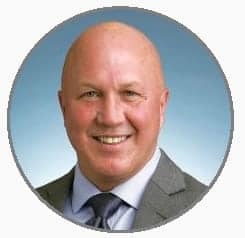 Geoff Bedford was appointed the Company’s President and Chief Executive Officer and a member of the Board of Directors in 2016 when Neo Performance Materials emerged as the newly organized business from the Molycorp restructuring. Mr. Bedford served as President and Chief Executive Officer and a member of the Board of Directors of Molycorp from 2013 to 2016. Prior to that, he served as Executive Vice President and Chief Operating Officer of Molycorp, which followed his role as Executive Vice President of Molycorp’s Rare Earths and Magnetics segment. Mr. Bedford served as Executive Vice President and Chief Operating Officer of Neo Material Technologies until Molycorp acquired Neo in June 2012. He served as Executive Vice President of the Performance Materials Division of Neo Materials from 2005 to 2011, and as Executive Vice President, Finance, and Chief Financial Officer, from 1999 to 2005. Before joining Neo Materials, Mr. Bedford held successively senior financial positions with The Woodbridge Group and Champion Road Machinery. He began his professional career with Price Waterhouse and has a broad range of operating, management and financial experience. 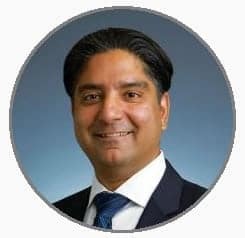 He is a Canadian Chartered Accountant holding a Bachelor of Science degree from the University of Western Ontario, a Masters of Business and Administration from the Kellogg School of Management and has completed the Making Corporate Boards More Effective program at Harvard Business School. Rahim Suleman joined Neo Performance Materials as Executive Vice President and Chief Financial Officer, replacing the retiring CFO, on January 16, 2017. Previously, Rahim was Chief Financial Officer at Stackpole International since 2010. From 2009 – 2010, he was Global Finance Manager with GE Digital Energy Protection and Control. Prior to 2010, he held successively senior finance positions in public accounting, manufacturing, internet technology and financial consulting firms. He is a Canadian Chartered Accountant holding a Masters of Accountancy and a Bachelor of Arts in Accountancy from the University of Waterloo. Kevin Morris was appointed Executive Vice President and Chief Operating Officer of Molycorp, Inc. in May 2016. Previously, he was Executive Vice President of Rare Metals and Administration from February 2015. He is responsible for the three business units of Molycorp (Neo Chemicals & Oxides, Neo Magnequench and Neo Rare Metals). He also served as Senior Vice President of Rare Metals and Administration from June of 2012 through February of 2015. He joined Molycorp as Senior Vice President Administration in November of 2011. Prior to joining Molycorp, Mr. Morris practiced environmental law and civil litigation for 16 years with Andre, Morris & Buttery, a business law firm located on the Central Coast of California. From 2010 through 2011 he was the managing principal of the firm. Mr. Morris received his Bachelor of Science degree in mechanical engineering from Cornell University and his Juris Doctor degree from the UCLA School of Law. He is licensed to practice law in the State of California. 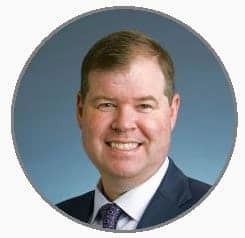 Jeff Hogan was appointed the Executive Vice President of Neo Chemicals and Oxides in September 2016 after having served as Executive Vice President of Resources for Molycorp, Inc. Previously, he was Vice President & General Manager of Chemicals & Oxides of Molycorp after its acquisition of Neo Material Technologies in June 2012. Prior to the acquisition, he was the Senior Vice President and General Manager for the Performance Materials Division of Neo Material Technologies Inc. He was also General Manager of the Company’s Thailand operation for a period of time. 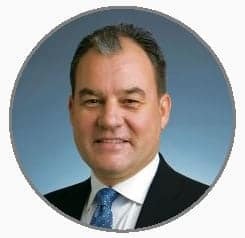 He joined the Company as a Marketing Manager in June 1999 and was responsible for U.S. sales of rare earth products and production at the Company’s Chinese joint ventures. 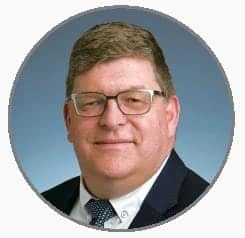 Prior to joining the Company, Mr. Hogan was Technical Director responsible for sales and technical efforts at a start-up manufacturing facility for inorganic metallic salts in Subic Bay, Philippines from 1997 to 1998. From 1995 to 1997, he was Assistant Plant Manager/Production Chemist at Palm International in Tennessee. From 1988 to 1991, he held successively senior positions at The Hall Chemical Company, culminating in Senior R&D/Production Chemist. Mr. Hogan graduated from Cleveland State University with a Bachelor of Science in Chemical Engineering. Greg Kroll was appointed Executive Vice President of Neo Magnequench in January 2018 after serving as Senior Vice President, Sales and Marketing, since 2014. Greg joined Magnequench in 2000 and served in a number of roles, including Business Development Manager, Director of Marketing, and Director of Sales and Marketing. Mr. Kroll completed his undergraduate studies at The George Washington University in 2000, including a Chinese language studies program at Peking University. He was awarded an MBA in 2010 from the University of Chicago Booth School of Business. Frank Timmerman is the Senior Vice President of Neo Rare Metals. Frank joined the team in 2005 as the Marketing and Sales Manager responsible for the sales of rare earth products for Europe. In 2010, he became General Manager of the Rare Metals business unit. He became the Vice President Rare Metals of Molycorp, Inc., following Molycorp’s acquisition of Neo Material Technologies in 2012. Prior to joining Neo, Frank was involved in research and development at Philips Display Components, first as an R&D Engineer and later as an R&D Manager of their Phosphors business unit. Mr. Timmerman graduated from Fontys University of Applied Sciences in Eindhoven, the Netherlands with a Bachelor of Science degree in Chemistry and he completed the Diploma program in Business Management and Leadership at the Rotterdam School of Management, Erasmus University.